Jenna Dooley’s feature headlined “NIU Library Brings World War I Sheet Music To Life,” about a new collection at Northern Illinois University library, took first place in the “Use of Sound” category. WNIJ Business Associate Abi Mogge also contributed to this award by playing the music selections used in the piece. Dooley and senior reporter Susan Stephens shared the second-place award for “The Art and Heart of Virgil’s Lenten Fish Fry,” which highlighted preparation for and enjoyment of the Friday event at Sts. Peter and Paul Catholic Church in Virgil. Dooley also won second place in the “Light Feature” category for “It’s Mud Madness As Northern Illinois University Hosts National Soil Testing Competition,” about participants’ efforts evaluating soil at a site near Malta. 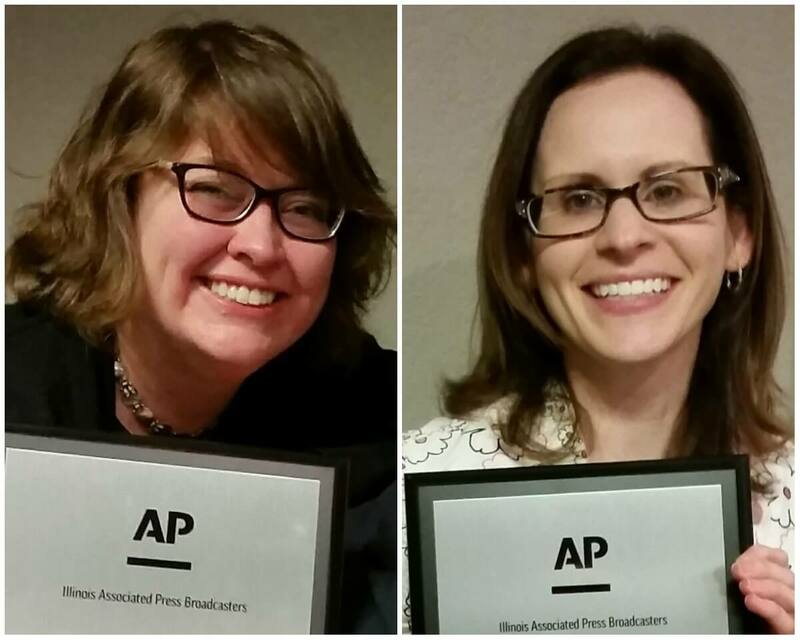 The awards were presented Saturday night, April 28, at the Illinois News Broadcasters Association (INBA) gathering in East Peoria. INBA is an organization of professional journalists from radio and television stations which serve Illinois audiences.